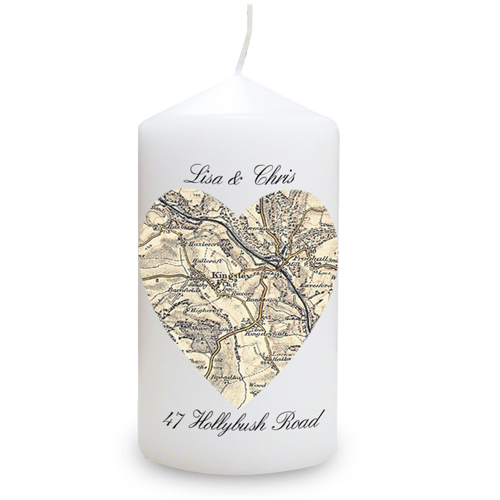 Personalise this Heart Map Candle with any Postcode* and a special message on the front above and below the heart. On the reverse, add a message over 5 lines of 15 characters per line. The map used is the 1896 - 1904 Revised New map. Please ensure when entering your postcode that it is a valid postcode. If the postcode is incorrect it will delay your order.